If you’re still wondering if you are too old to have a baby, it means you haven’t given up yet – and that’s a good thing! The truth of the matter is that the age that corresponds to ‘too old’ refers not to an age, but to your hormone status if you’re female. 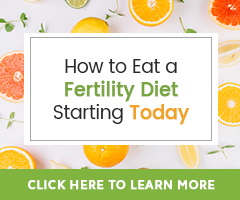 In menopause, your natural hormone levels are too low to support a pregnancy, so having a child may mean adopting one, though some infertility clinics do offer IVF through egg donation for women who are in menopause and are still trying for a baby. If your hormone levels are still within the normal ranges for a woman in her childbearing years, your body may still be able to support a pregnancy. There are two secondary things to consider if you think you are too old to have a baby. Both revolve around whether or not the aging of your body is suitable for starting a new life. Aging is influenced by two factors: toxin levels and vitamin/mineral deficiencies. Remember though that both may be overcome. How many toxins is your body holding onto? Chemicals clearly disrupt hormonal function. They may cause DNA mutations and cancer and are linked to a variety of other diseases, including PCOS, endometriosis, and uterine fibroids. Left continually swimming in your bloodstream while you’re pregnant, these chemicals lead to a potential risk for harming your unborn baby. The older you are, the more likely it is that you will have higher levels of these toxins in your blood unless you’ve done your ‘homework’ on detoxification. By eating organic, wholesome non-GMO foods, you can equip your body with enough detoxification potential to slash the chemical load down remarkably. You can also implement a cleansing protocol specific to improving your chances of conception. Fertility Cleansing is specific to aiding the body in removal of these chemicals in preparation for pregnancy. And that will give you extra mileage if you’re 40+, simply because you won’t be like the average 40-year-old who does not think about detox, let alone do it. In fact, in one study of students aged 16 to 37, 25-50% of them thought that pollution and chemicals could be fertility risk factors (J Clin Nurs. 2013 Aug 19). What is your vitamin and mineral status? Foods are always your best medicine, but often not enough. If you have vitamin and mineral deficiencies, pregnancy and post-pregnancy may become extremely challenging if not impossible. If you’re over the age of 40, get the best possible information on your vitamin and mineral status before you get pregnant. This means all of them; not just vitamin D, folic acid, vitamin B12, and vitamin B6. There are sophisticated lab tests that will test for several of these at one time. Talk to your doctor about this. Knowing if you have deficiencies before pregnancy is going to help you know those you need to take care of, which may increase your chance of achieving and maintaining pregnancy. A hair analysis will screen for all the minerals, plus let you know the status of your body’s accumulation of heavy metals. It provides a beginning foundation of knowledge on what is occurring with your nutrients. I have been asking myself that question related to your article for some time. Am I too old to have a baby and is it possible to conceive naturally at my age. I am turning 50 tomorrow and I have never been married nor pregnant and my partner and I are planing to get married. He is 60 years old and he also has no children. Sometimes I think we may be to old to start a family but we both would like to be parents. I hope you can give us an honest answer to our questions so maybe we don’t have high hopes for something that might not happen for us. If your heart wants this, pursue it! Talk to your doctor, perhaps some testing can be done to determine your chances. If he is not able/willing, ask for a referral to a fertility specialist. I can not know your chances or if it’s possible, but I want you to have hope. There are many paths to parenthood! I think Elizabeth is being very kind in her response. I am not writing this to be unkind but there are other factors to consider – not just whether you can get pregnant. Your partner is going to be 70 in 10 years time when the child is 8 or 9 years old. What if his health not good at this age? Will you have the energy at 60 to run around after a 9 year and look after a 70 year old. This is the reason women can’t get pregnant at this age. I know that when you are in love you feel more maternal and may be craving a baby to nurture but you need to consider what kind of life the child would have if you are not in good health in your 60s or 70s. You are doing wonderfully well in helping millions of people out there solve their fertility problems. I enjoy you posts. Thank you for your praise! We are happy to be helpful.